This book is centered on the perspectives, experiences and career trajectories of women of color in British academia. It reveals a space dominated by whiteness and patriarchy, in which women of color must develop strategies for survival and success. The contributors explore how their experiences are shaped by race and gender and how racism manifests in day-to-day experiences in the academy, from subtle microagressions to overt racialized and gendered abuse. The autoethnographies touch on common themes such as invisibility and hypervisibility, exclusion and belonging, highlighting intersectional experiences. This is a must-read for students, academics, schools, colleges, trade unions and organizations - and anyone with an interest in equality. "This book expertly and elegantly weaves together the analytical, the affective and the political in a forceful engagement with race and racism in the academy. The strength of the book is gathered through its intersectionality and, especially, its focus on women's experience. As such, the book is a must-read for all scholars and students interested in and affected by the British academy's racialized environment." 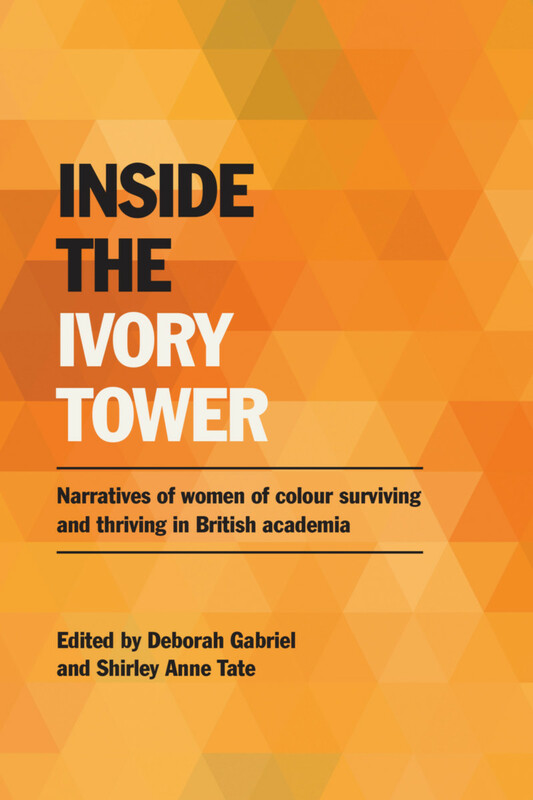 "The testimonies of women of colour in the academy have tended to remain in the shadows, whitewashed by the structures of the Ivory Tower, dismissed as anecdotal evidence rather than acknowledged as data indicating individual and structural forms of exclusion. This timely book starkly captures what the recent metrics of under-representation of women of colour actually mean in academia. It amplifies the nuances of experience at the same time as encouraging agency in the face of tenaciously resistant-to-change systems of privileged activity. It is essential reading for anyone genuinely interested in improving the conditions of all women in contemporary higher education." "Academic life is punctuated by dissenting voices challenging the hegemony of stultifying, racialized patriarchies. This pioneering collection draws on critical race studies to centre the marginalized female voice, which is in constant conflict with an education system that at one level understands gender disparities while at the same time reducing the protests of women to privileged identities easily identifiable in the eyes of the most influential stakeholders – White, middle class, straight men. The authors in this collection should be applauded for their critical insight and transgressive methodologies, yet the parochialism of the academy is evidence of border maintenance and backlash politics. Whose voices should be privileged? The myth of educational meritocracy is brought into question when the voices of Black women are denied. The desire for intellectual and political syntheses should be consistently welcomed in the academy and it is in this spirit that all should welcome as an essential text the important stories of Black women academics and their lived realities in the Ivory Tower." Deborah Gabriel is a senior lecturer at Bournemouth University in the Faculty of Media and Communication. Shirley Anne Tate is the first Professor of Race and Education in the Carnegie School of Education at Leeds Beckett University.